This week I've had to fight with VoIP systems like Trixbox and Brekeke. My main task was searching vulnerabilities and weaknesses in these systems, which use Asterisk, to try to demonstrate that if we don't upgrade our VoIP systems we can allow attackers to call everywhere without restrictions, we can also allow them to access to our agenda or even we can allow them to access remotely to the VoIP system. Some people think that, as they are using branded VoIP systems like Cisco, Avaya or Alcatel, they don't have this kind of weaknesses, but it's wrong because most of them have vulnerabilities as well. Metasploit in the VAST distribution is in the path /opt/metasploit-4.4.0/msf3/msfconsole. The CVE of this vulnerability is the next. Where we can find which version of Trixbox are affected and the seriousness of this weakness. As you'll able to see, you'll have remote access to Trixbox system to do whatever you want. 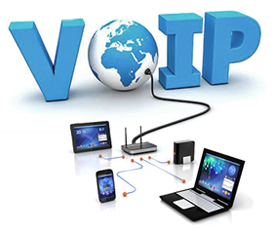 VoIP systems are hard to touch, I mean, once it's working nobody wants to apply patches or upgrade the operating system but this is a task that we should do if we want to sleep quietly every night and not find an excessive bill, regardless you use branded VoIP systems or open source VoIP systems.